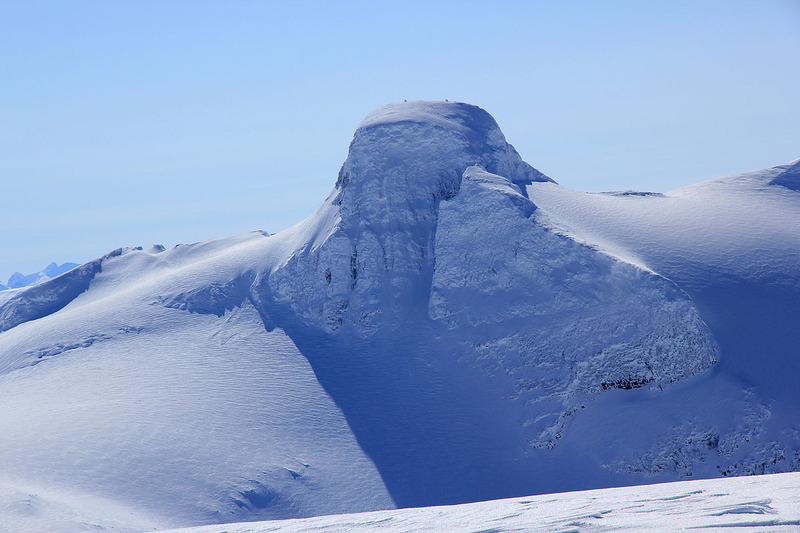 How to get there: This mountain can be reached from Skålatårnet or from Bødalsseter. It is located between Skåla and Lodalskåpa. 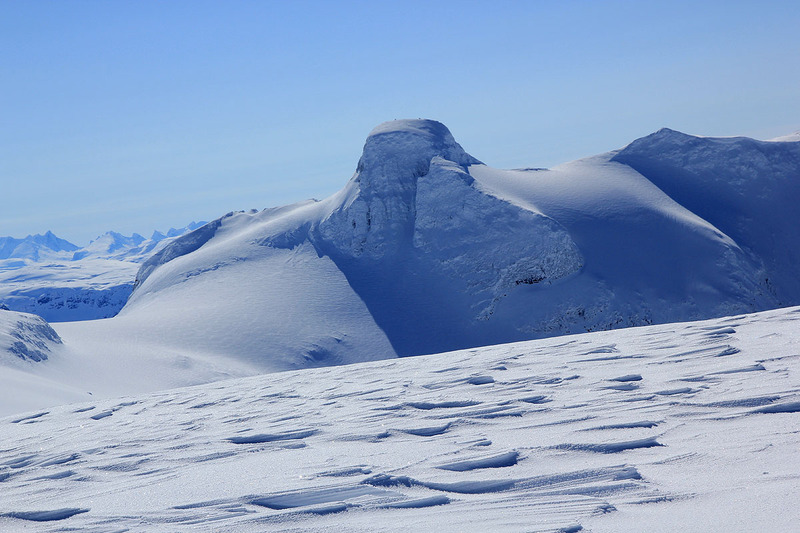 Route description: We normally traverse across this summit from north-west to south-east on the route from Skåla to Lodalskåpa. 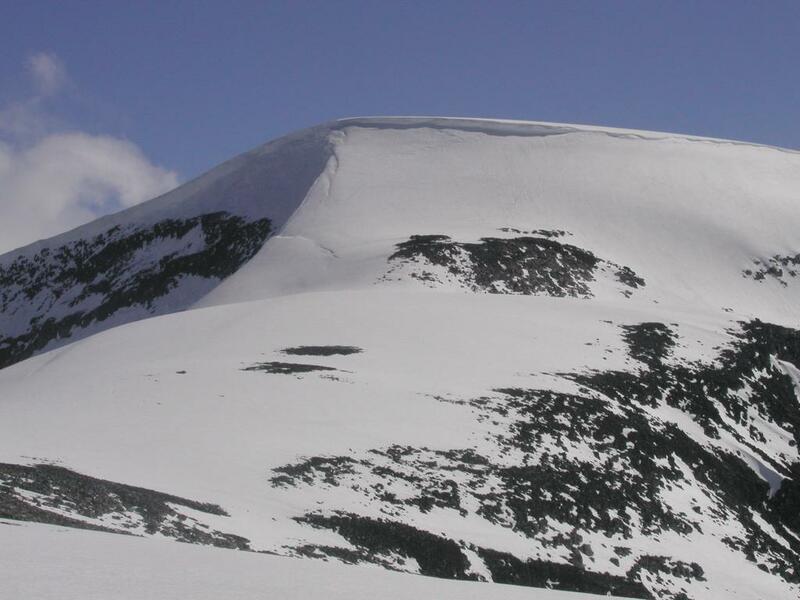 The north-west face is steep and has a cornice on the very top. 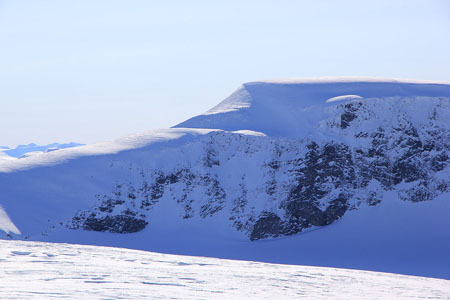 This can be climbed straight up or sometimes easier, on the far left side with considerable exposure down to Erdalen. In the last couple of years, the cornice does not extend very far right and one can get up pretty easily on the right hand side. Care should be taken! 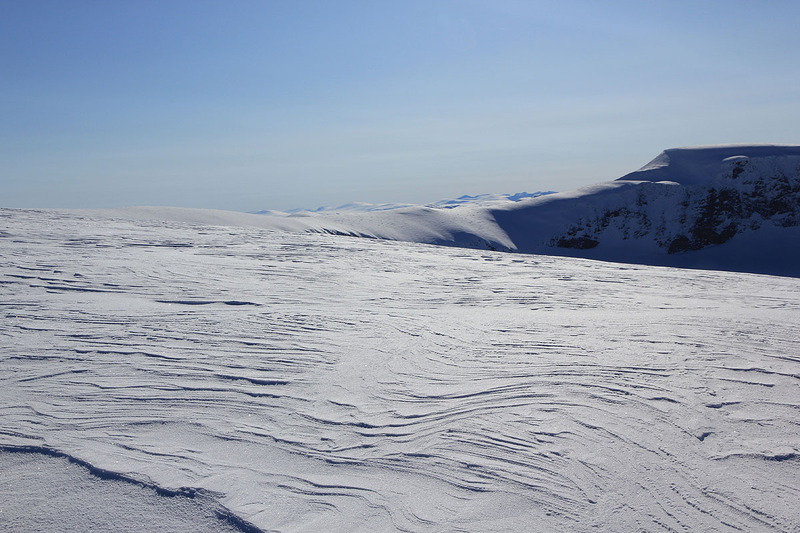 One can alternatively ski across Skålbreen and climb Skålefjellet (1787 m), then continue on the gentle slope to the summit, this is a much easier route. Ascend steeply up the hill to Tomefjellet. While going up here, there is a very nice view back down to the Stryn lake. Continue across Tomefjellet, normally bypassing the summit on its right hand side. Ascend the lower part of Skålefjellet on skis. The upper part is so steep that it is easier to ascend on foot. 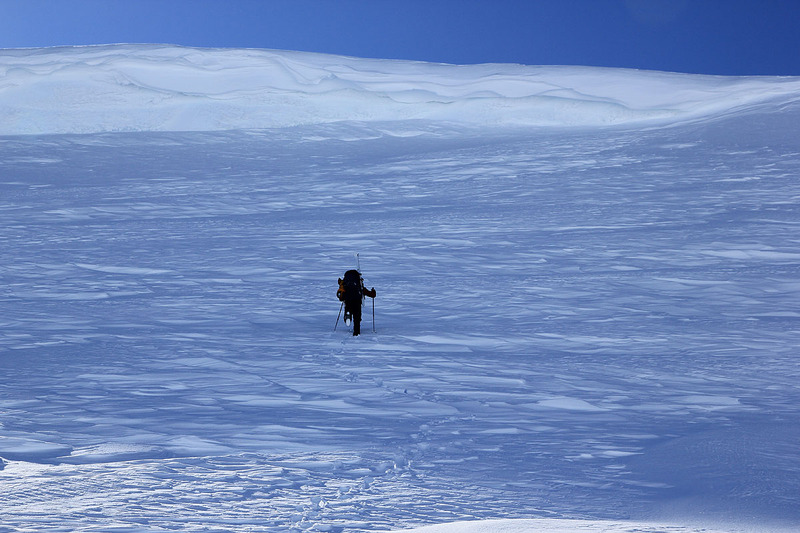 Go right if that can be done safely, or make a route straight up the steep snow wall at the very top. From here, the view to Lodalskåpa is very nice. This route continues dirctly to the saddle between Lodalskåpa and Tverrfjellet. Comments: This summit has no rock near the high point, but is covered by ice. It is flat on the top, the contrast when coming from the north-west is striking. Once up here, Lodalskåpa is getting straight in your face. The 1925 summit, note the cornice on the top. 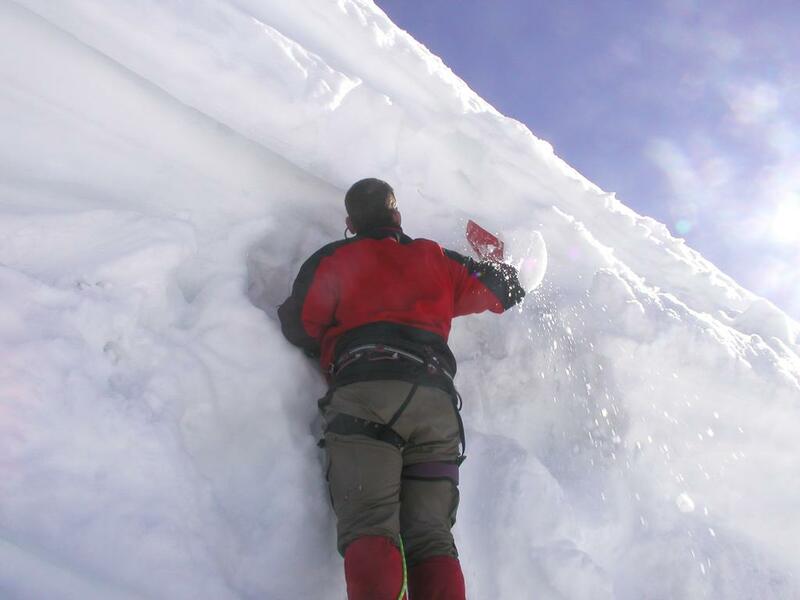 We normally climb directly up from the rocks in the middle and conquer the vertical 3-4 meter wall of snow. Jan-Frode is using a showel to dig a few steps in the very loose snow.